The new APU offers a comprehensive feature set for data and application security. The built in AMD secure processor handles hardware- accelerated data encryption and decryption for secure virtualization, secure encrypted virtualization (SEV) isolates the hypervisors and virtual machines without having to modify any of the code. The Ryzen Embedded V1000 competes with intel’s 14nm- fabricated core processors. The SoC offers up to four dual-threading Zen CPU cores for 8 threads total, as well as high-end Radeon graphics with up to 11 compute units. 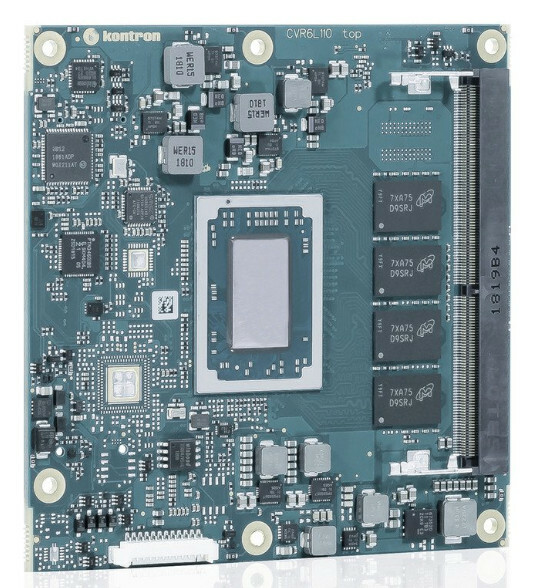 The COMe cVR6 supports all five quad and dual core models including the quad core V1404i model, which was missing from AMD’s original announcement, but is supported by the Seco and Congatec modules. The V1404i lacks the other SoC variants’ dual threading but has a low 15W TDP. 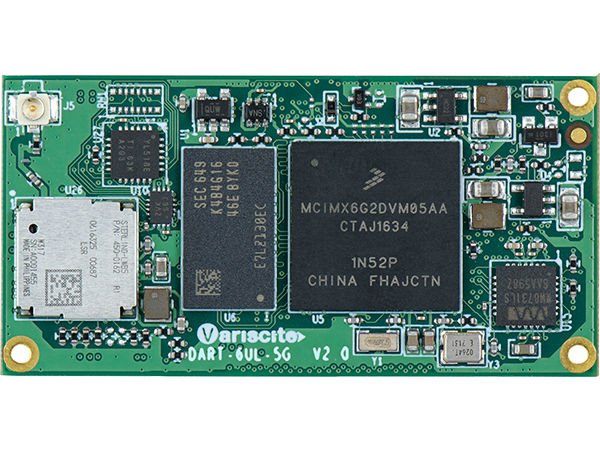 The COMe-cVR6 features dual SATA III interfaces, as well as an SDIO connection shared with GPIO. If you choose to skip the default GbE controller, you can get 6x PCIe 3.0 connections instead of the standard 5x interfaces. There’s also an option for a PCIe switch in place of one of the PCIe interfaces and an “on request” option for 8x PCIe x1 (4x PCIe 3.0 plus 4x PCIe 2.0), along with 1x PEG x8. Four independent displays are supported, tapping a special capability of the V1000’s Vega graphics. Kontron did not mention resolution, but 4K should be available with the dual DisplayPort++ links if not the standard DisplayPort with optional VGA. 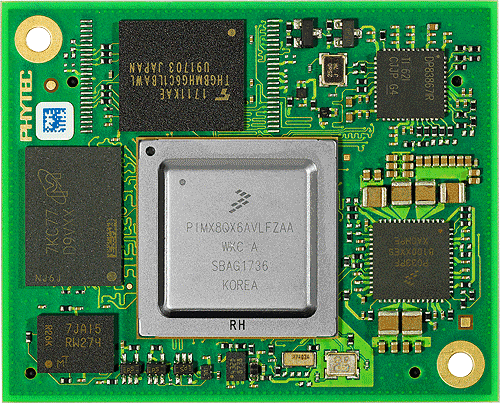 The fourth interface is a lower-resolution, dual-channel, 18/24-bit LVDS, which can be swapped out for eDP. The COMe-cVR6 is further equipped with 1x USB 3.0, 2x USB 3.1 Gen2, 5x USB 2.0, and 2x RX/TX only serial ports. Other interfaces include HD audio, I2C, LPC, SPI, and SMBus. You also get a staged watchdog timer, a real-time clock, TPM 2.0, and optional Kontron Apportect security. The latter includes a Wibu-Systems security chip and a software framework with IP- and copy/reverse engineering protection. No pricing or availability information was provided for the COMe-cVR6. More information may be found in Kontron’s COMe-cVR6 announcement and product page. 10 April, 2018 Hardware Acronyms: SiP, SoC, SoM, CoM, SBC – What Are They?